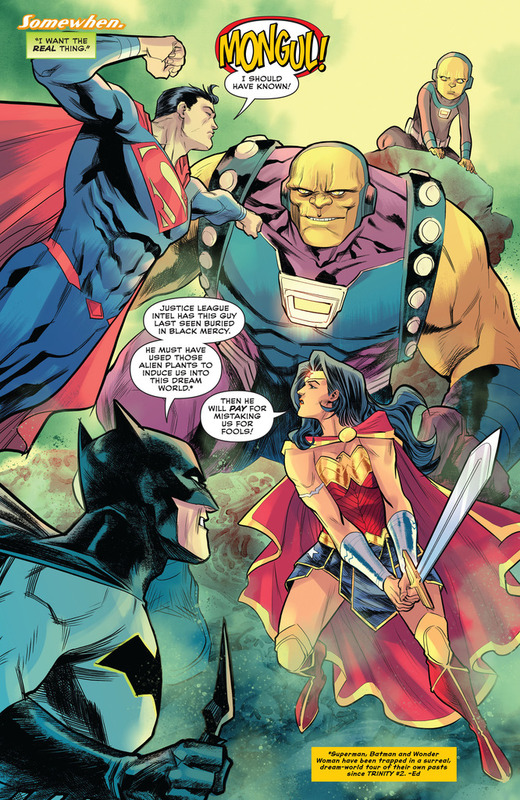 Again with Mongul and the Black Mercy? Somehow it's become his 'thing' more than War World! Still a little scrap of meat to be prized off "The Man Who Has Everything"'s corpse. I do like that this has Ivy interacting with the Black Mercy though, which is something I don't think has been done before. Agreed, it's a genuinely interesting idea. Quite. The sad thing is, using Black Mercy again? That makes sense. 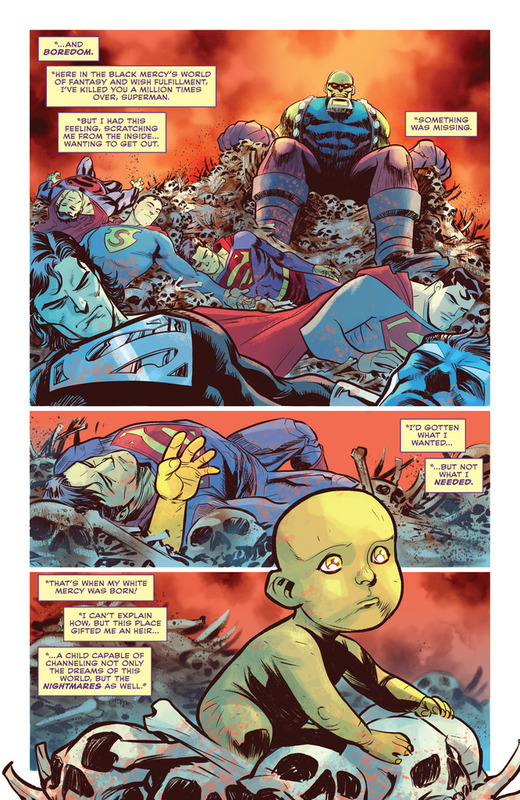 Specifically making it a Mongul thing? Not so much, it doesn't play into any other part of his character, it's a gambit he tried once that *backfired*. 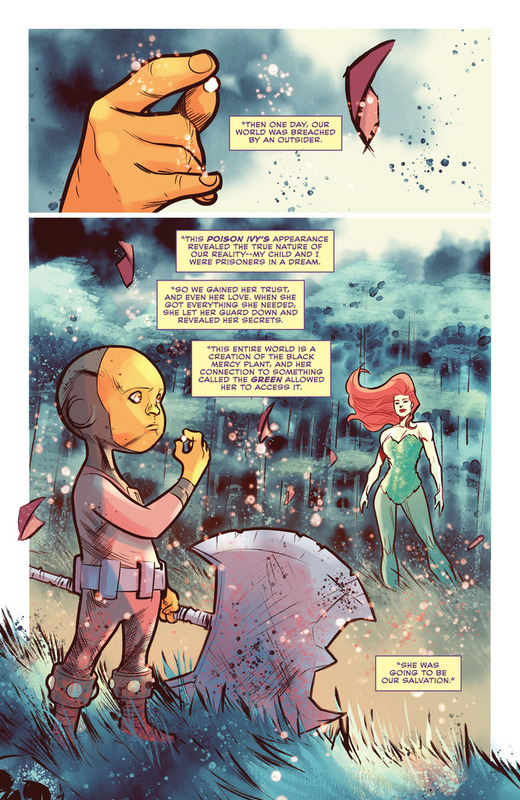 Wait, wasn't the plant specifically something that Mongul created? So you can't have just any old alien using it? Not originally, I believe he just found and harvested them. Though later appearances have him making variants (like one that makes one experience *bad* visions, which defeats the whole purpose), he's not a scientist, and the only origin I know of is a fairly recent one ('08) where they were made for altruistic purposes, to ease the suffering of terminal patients. Just considering the character, he's a marauder and warlord (who didn't make his signature Warworld either, he took that too), so him searching out a weapon is more fitting, and it'd be a more fitting followup to that if he sought other weapons, rather than tweeked and reused that one (which didn't work the first time anyway). Oh, another book called Trinity? That's at least three now. Ah, that explains it. I was very confused, as I didn't remember anything like this from the Trinity series I was thinking about. 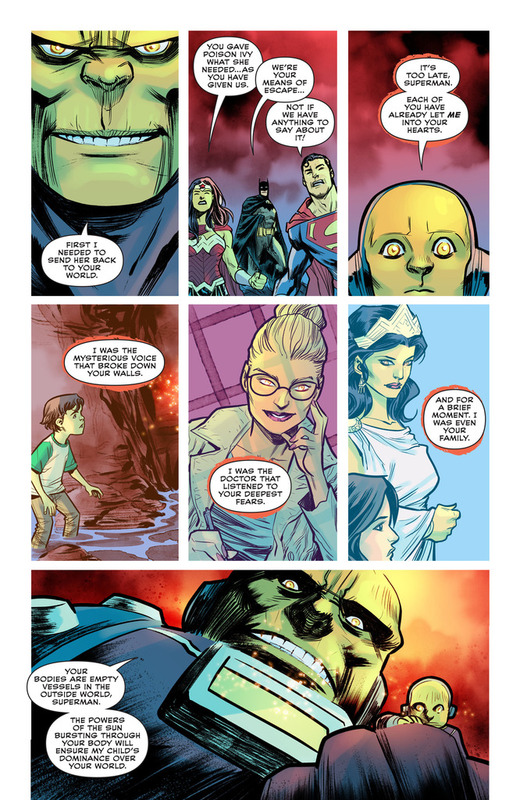 Remember when Superman, Batman, and Wonder Woman had other friends? I don't.